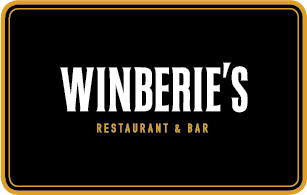 Located across from Princeton University in Palmer Square, Winberie’s Restaurant & Bar has served the community, college students and visitors since 1984. Our 23 taps are always changing, so no two visits to our bar could ever be the same. We know our craft beers and have relationships that allow us to offer you hard-to-get, limited edition beers. A menu that blends modern craft with pub classics. Where else are Irish Nachos and Cedar Plank Salmon on the same menu? You’ll love our shareable plates and our hearty selection of unique craft brews, cocktails and wine. Dressed up or dressed down Winberie’s is where you’ll feel right at home. Make plans to enjoy our holiday brunch buffet on Sunday, May 12th. We’re taking reservations now for seatings between 10:00 a.m. and 2:00 p.m.